Massive amounts of data during disaster situations require timely collection and analysis for the emergency team to mitigate the impact of the disaster under challenging social-technical conditions. The absence of Internet or its intermittent and bandwidth-constraint connection in disaster areas may exacerbate and disrupt the data collection process which may prevent some vital information to reach the control room in time for immediate response. Regardless the rare connection in the disaster area, there is a need to group information acquired during the response into a specific information model which accommodates different information priority levels. This is to establish a proper mechanism in transmitting higher prioritized information to the control room before other information. 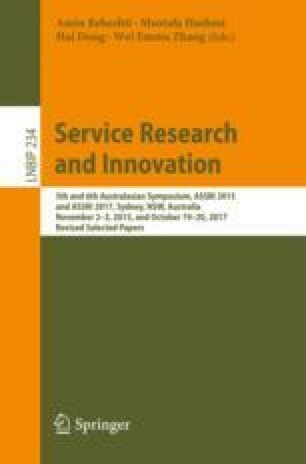 The purpose of this paper is to propose an information priority model and system architectures for data collection under challenging conditions in disaster areas. We would like to thank the anonymous reviewers for their comments and suggestions that help us improve the paper. Special thanks to Architecture & Analytics Platforms (AAP) team of Data61 | CSIRO for helping us shape up the initial direction of this research. This work is partly funded through top up scholarships from Data61 | CSIRO and the Australia’s Cooperative Research Centre Program for Spatial Information (CRCSI).